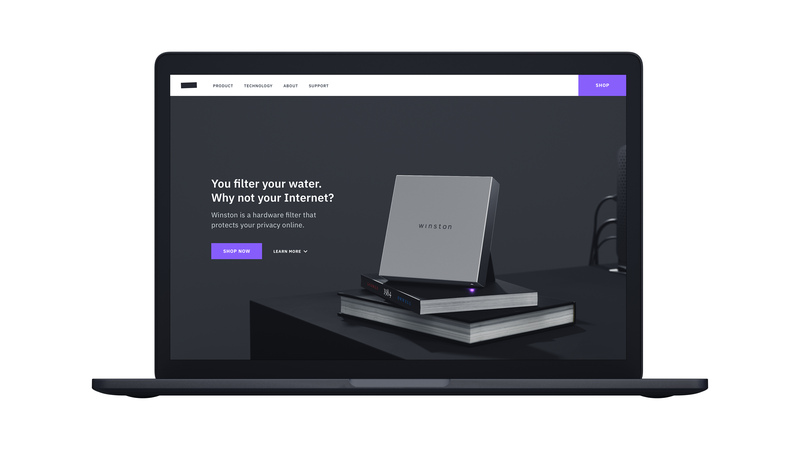 Winston works by completely anonymizing your online activity and geo-location, protecting you from unwanted data collection and advertising. 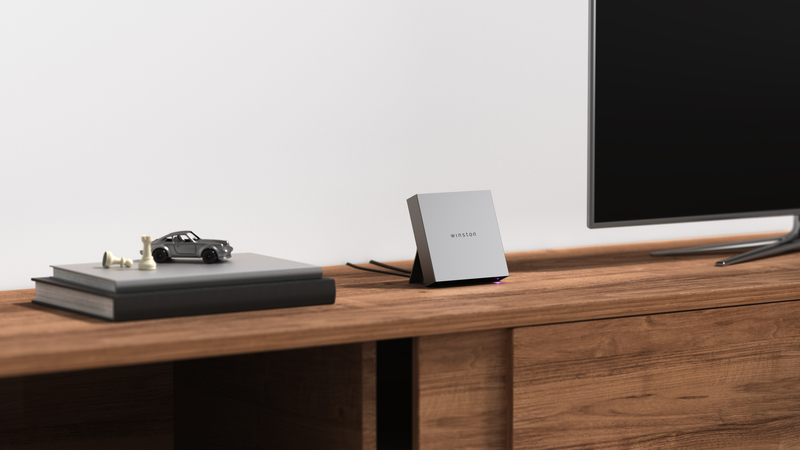 Winston is faster and more reliable than a VPN, safeguarding your computer, phone, tablet, and other smart devices by encrypting your browsing and stripping out malicious code before it reaches your wifi. Personal involvement: Under the direction of Scott Wilson and Chris Watson, I saw this year long project through from start to finish, developing the brand, product design, engineering, and marketing assets. 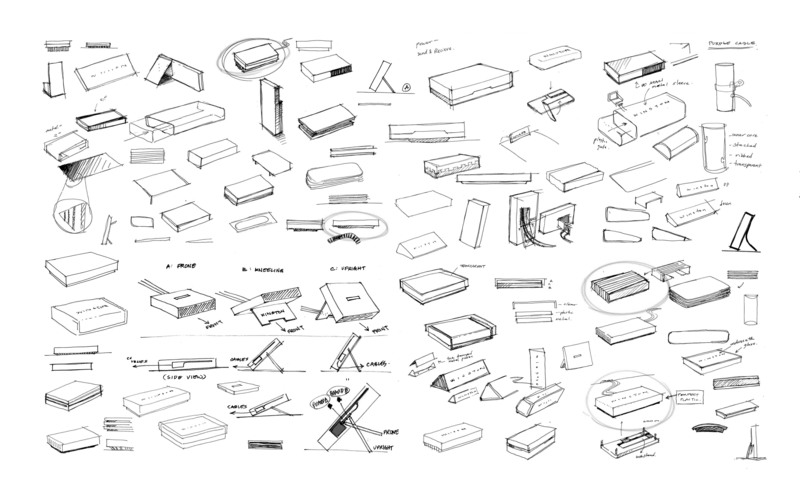 My primary contribution was the final form (the design is based on my sketches and CAD) and final renders. Packaging and web/brand design was done by Jillian Tackaberry and Sean Nelson, respectively. Additional development was done by Zeeshan Hakkim, and Charlie Prescott. What is more symbolic of privacy than the iconic black bar? This simple shape, used to hide classified information in documents and cover eyes in photos to conceal identities, is the DNA of Winston’s design language. Traditionally used to hide the actions and personnel of government agencies, we boldly use it as a symbol of citizens taking ownership of their personal information back from these very agencies.We chose to reference the imperfect nature of the hand drawn lines, by slightly angling the Winston logo, which gives it character and individuality. We also wanted to speak to the modern nature of the Winston device, and use text and line motifs that felt modern, clean, and precise. The result is an instantly recognizable logo, rich with meaning and visual impact. 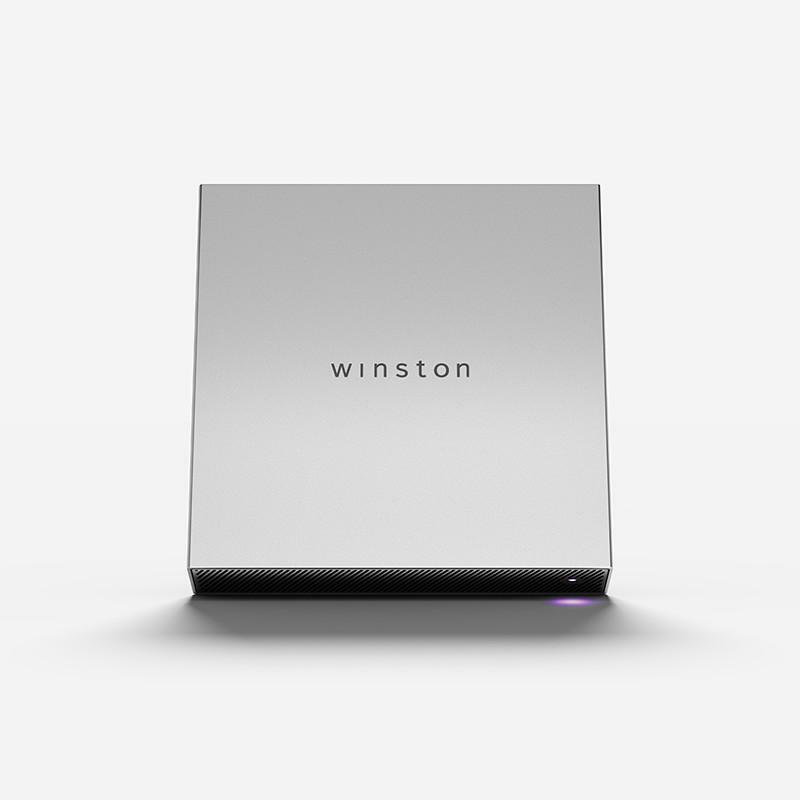 Winston’s form reflects its philosophy and function. As a guard against prying eyes, it present its name… and nothing else. 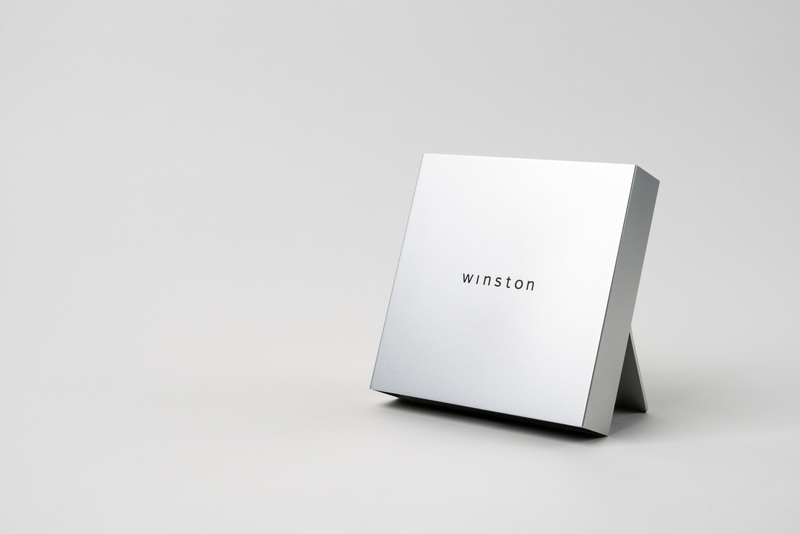 Winston purposefully hides its inner complexity inside a minimalist aluminum shroud. 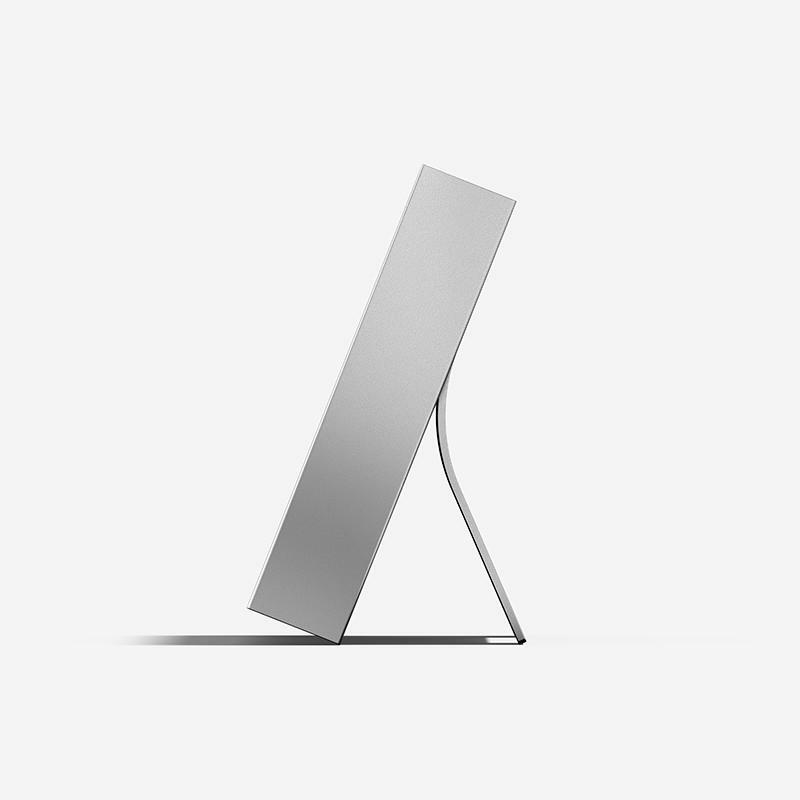 The vents on either end are a subtle motif used across the brand. On the surface, they reference the black lines used to redact text in sensitive documents, but on a deeper level, they represent both the metaphorical lines that we do not cross, and physical bars that act as a protective wall between our public and private life. 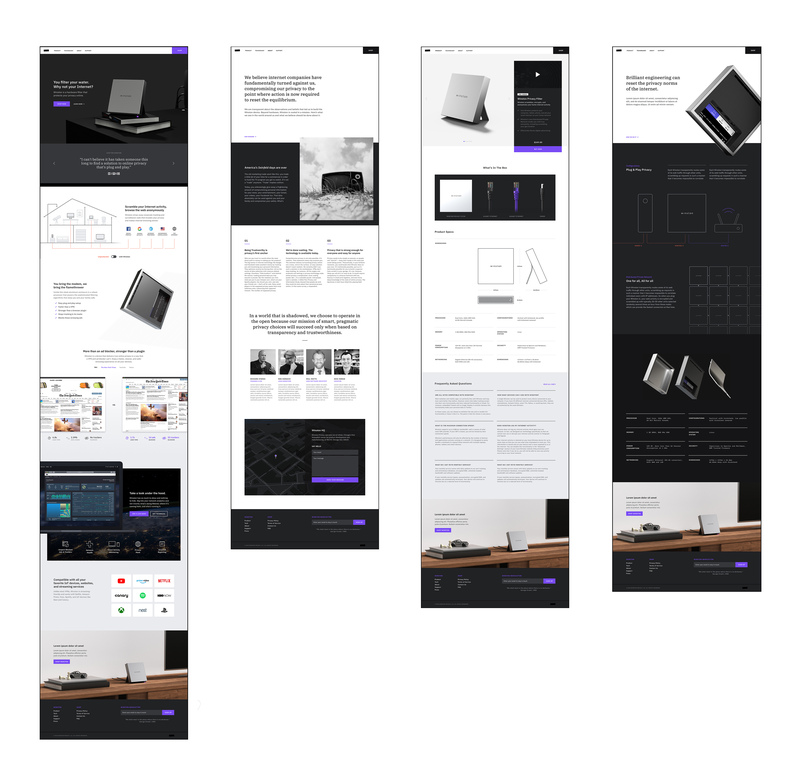 In addition to being a product showcase and web store, MNML’s web team built the Winston site (winstonprivacy.com) as an educational platform that discusses the importance of privacy in today’s big data arena. Winston was fully engineered by Minimal. 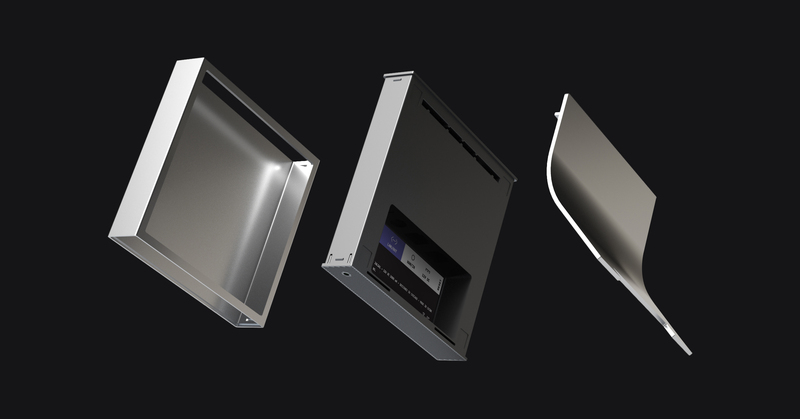 Every detail, from the extruded aluminum housing to the detachable foot was designed in house to the highest standards. 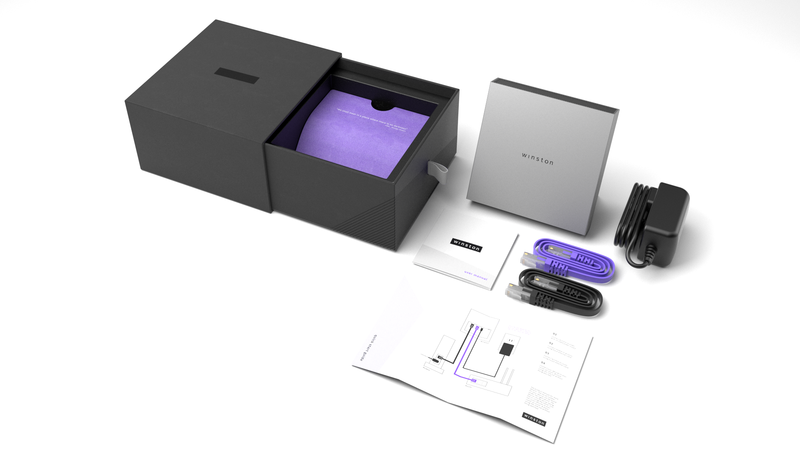 We designed, prototyped, and sourced manufacturers for the final product. MNML focused on creating a packaging solution that balanced protection, simplicity, and environmental considerations. 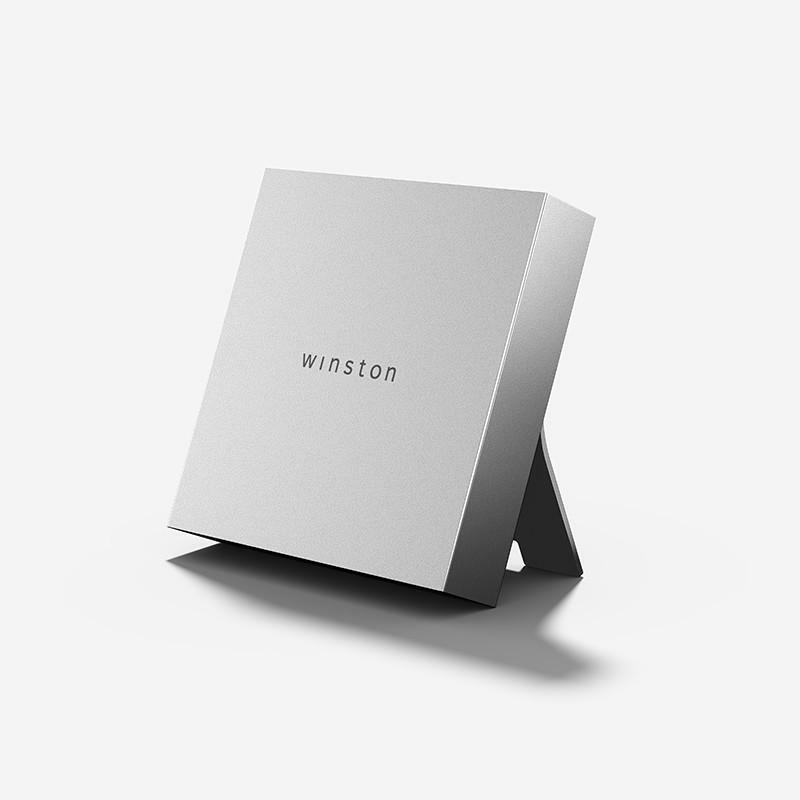 The result is a compact cube that presents the Winston device beautifully and responsibly. 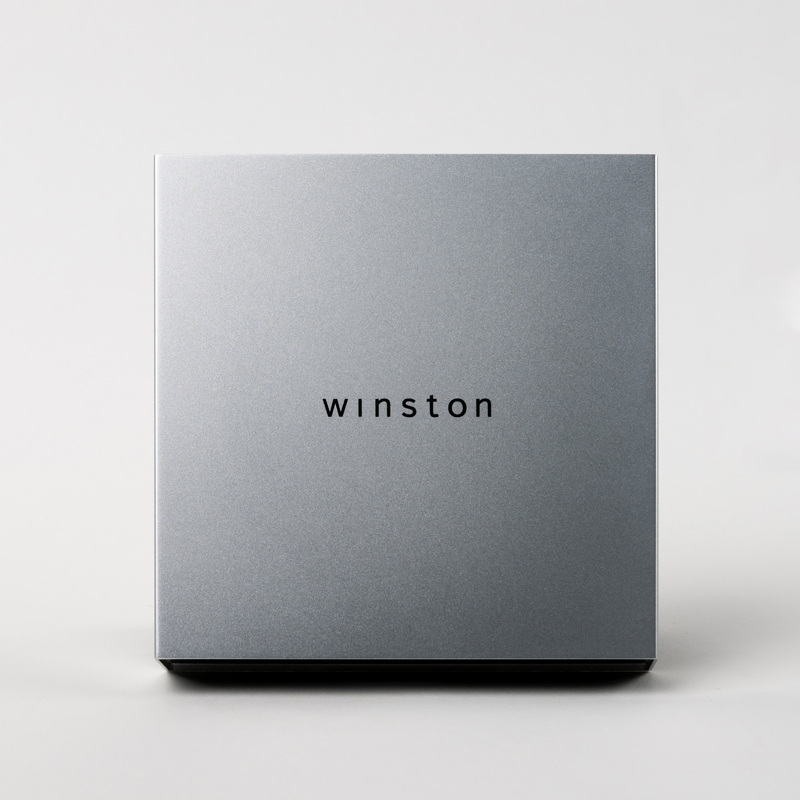 From the start, we knew that the key to Winston’s form was simplicity and geometric precision, but finding the right shape to differentiate it in a market full of boxy tech products was a difficult challenge. 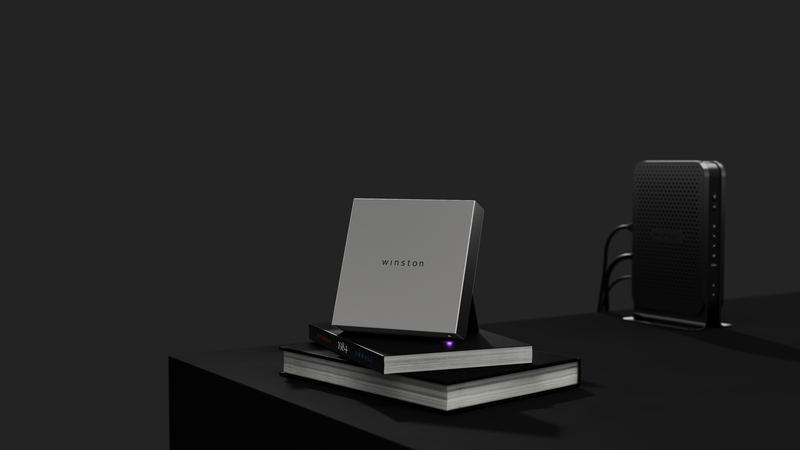 In the beginning stages of design, we gravitated towards the idea of being able to position Winston upright or flat depending on the use case. 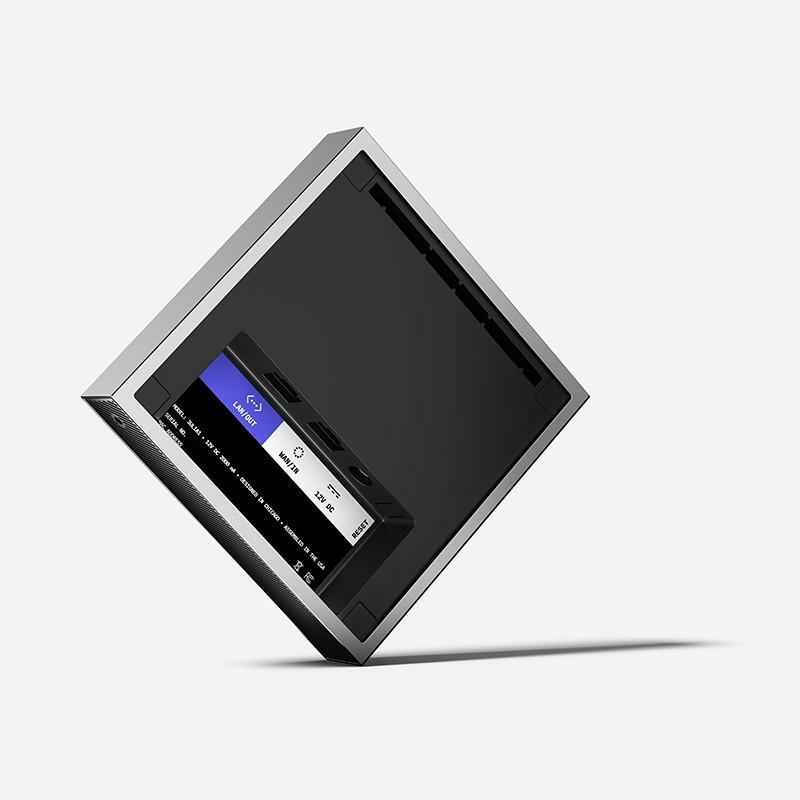 From this foundation, we developed the upright square form into something with a unique and recognizable character. Interested in joining the movement? 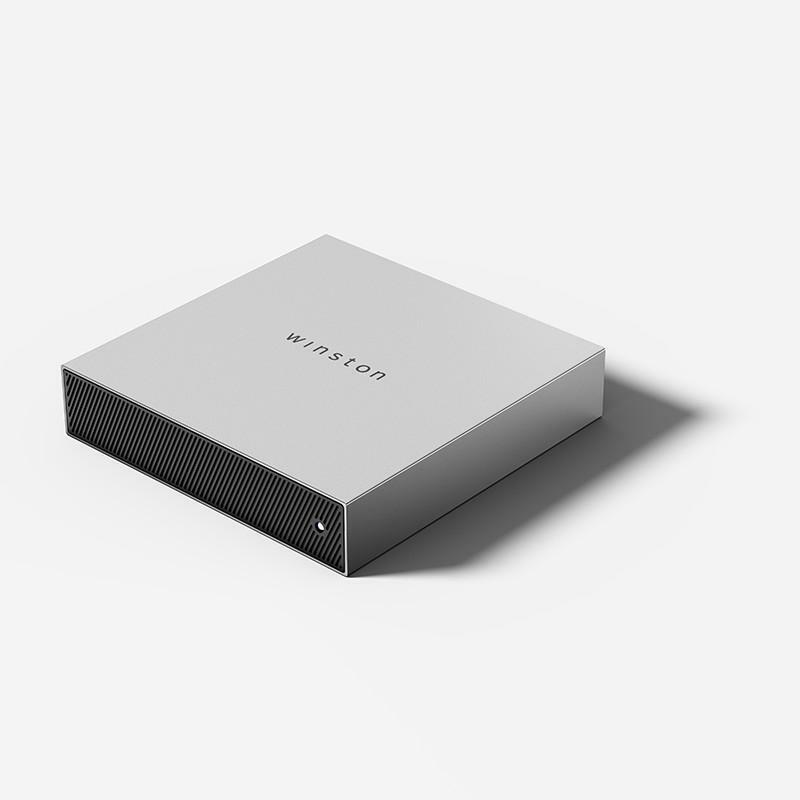 In addition to removing tracking and ads, Winston devices work together as part of a mesh network that scrambles and further anonymizes your browsing; The more devices are used, the more impossible it becomes to trace the origin of encrypted data within that network. Together, we can be truly invisible.